Tangshan Yuan Cheng Printing Machinery Co., Ltd.
A, this function reduces the labor intensity of workers and skills, improve the adaptability and efficiency of the workers (about 5% - 5% efficiency. B, secondary positioning feed mechanism to increase the double test, the belt clamp on transportation, push the gauge secondary positioning correction function, guarantees the product processing quality consistency and stability, reduce customer complaints. 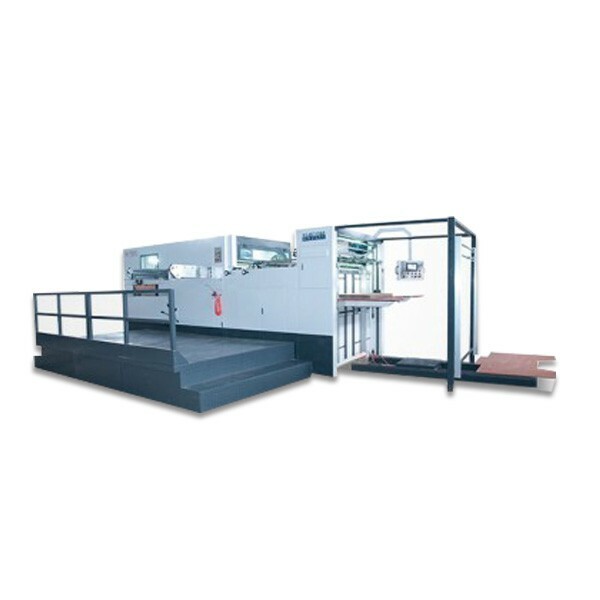 C, this feature is relatively paper the procedure of paper machine die-cutting machine is flat and level. Tangshasn Yuancheng Printing Machinery Co. Ltd. is a manufacturer which specialized in producting die-cutting machine. The company is a modern enterprise which integrate in production, R&D, marking and customer service. The company was founded in 2006.covering an area of 25000 square meters. It was located in Xindai industry Zone, which is only 120 kilometers from Beijing airport. it is convenient in water, land, air transportation. Through years of development, we reply on solid strength. advanced management, now our factory has developed one of most authority manufacturers in die cutting machine. Our goods not only has sold all over of the country, but also exported to Europe, Africa, America and southeast asia and so on. our goods assembled by famous brand accessories which was imported. in addition, we have excellent technical staff, they could imported. in addition ,we have excellent technical staff, they could improve the technique so that products could meet the high standards of the field. The company regards "Quality is life, service is tenet" as our manufacture aim, we make numerous, efforts to service the customers. We would like to cooperate with all of you at home and abroad for better a tomorrow.